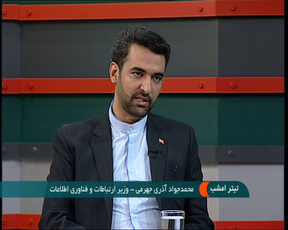 The Iranian company of Bonyan Danesh Shargh has signed an agreement on building the system with the Russian companies of NPK BARL and VNIIEM, the Russian state-funded television network, RT, reported on Wednesday. Under the agreement, signed in the presence of Dmitry Rogozin, the Russian deputy prime minister and Igor Komarov, the general director of Russia’s Federal Space Agency, the Russian corporations will help the Iranian company create a remote-sensing system which can be employed for collecting information about the Earth's surface, atmosphere and oceans. Bonyan Danesh Shargh, according to the agreement, will be the operating company, NPK BARL will build and adapt the system’s ground infrastructure, and VNIIEM is responsible for building and launching the satellites. “The pre-contractual arrangement covers the development of an earth remote-sensing system based on an upgraded version of the Kanopus-V1 (Canopus-B) observation satellite,” Russia’s VNIIEM Corporation CEO Leonid Makridenko said. “The launch on a Russian Soyuz carrier rocket is tentatively scheduled for 2018,” he added. In December 2013, Iran said it plans to send its first domestic telecommunications satellite into space by March 2018. Iran successfully launched its first home-made data-processing satellite Omid (Hope) into orbit in 2009. As part of a plan to develop its space program, Iran also successfully put into orbit its second satellite, dubbed Rassad (Observation) in June 2011. Rassad's mission was to take images of the Earth and transmit them along with telemetry information to ground stations. Iran also sent its domestically-developed Navid-e Elm-o Sanat (Harbinger of Science and Industry) satellite into orbit in February 2012. The records made by the telecom, measurement and scientific satellite could be used in a wide range of fields. On February 2, Iran placed into orbit the domestically-made National Fajr (Dawn) Satellite with President Hassan Rouhani issuing the order for its launch. The satellite is capable of staying in space for 1.5 years and taking and transmitting high-quality and accurate pictures to stations on earth. The Islamic Republic of Iran is one of the 24 founding members of the United Nations' Committee on the Peaceful Uses of Outer Space which was set up in 1959.